"The Blessings of Autumn, begins my Blessings of the Seasons collection. 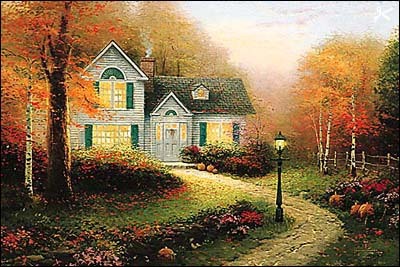 Here is the fullness of autumn — the ripe orange plumpness of pumpkins, the Indian corn wreath upon the door, the flaming reds and golds of the maples and the soft blanket of fallen leaves." 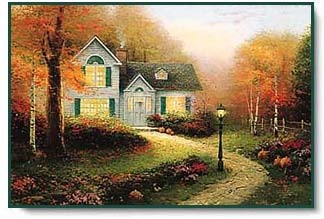 The Blessings of Autumn copyright© 1993 by Thomas Kinkade.